$10 Budget at Target and what I got (April). Before I move on to the fun post I have planned for today, I wanted to take a minute to acknowledge Prince's death. I was at work, when I found out from a co-worker that he died and I told the co-worker to make sure it wasn't fake news. Unfortunately Prince is no longer with us. His death took me by surprise and just like with Michael Jackson years ago, I was quite shocked and very sad by the news. Both of them died young and they were both two great, unique, creative and visionary artists. I loved Prince's music. The songs "Kiss", "Purple Rain" and "When Doves Cry" are on everyone's playlists I am sure. To find out that he had an amazing concert just a week before his death and that he had spoken to his fans, makes the news of his sudden death even sadder. I really hope it was due to natural causes and no drugs were involved. Rest in Peace Prince - the world lost a very creative and artistic soul! A few bloggers do a fun $10 Target Haul (monthly), which they have turned into a Linkup also. I have been meaning to join in once or twice before but forgot. After all I go to Target often and I buy from there often. I love the dollar section too where items are usually priced for $1, $3 or $5. It gets me all the time. I definitely do my share of Target dollar hauls. $10 at Target - totally doable, and you can get more than one or two items too. I am finally joining Becky, Rachel and Tiffany for their linkup and I am here to show you all what my ten bucks got me at Target this month. Note, these items were purchased in the beginning of April, a couple of weeks ago. So the budget is 10 dollars, not including tax. So, what do $10 at Target look like? This time I got a few free-time goodies for myself. I only heard about adult coloring books a few months ago from a cousin of mine. She was telling me how her aunt and grandma were obsessed and that they were so relaxing and fun to do. I have always loved art, colors, drawing and coloring. Even more so now that I have a little toddler who loves to scribble, draw and loves crayons. So, I finally picked up a coloring book for adults "Floral Wanders Color Art" for $5. 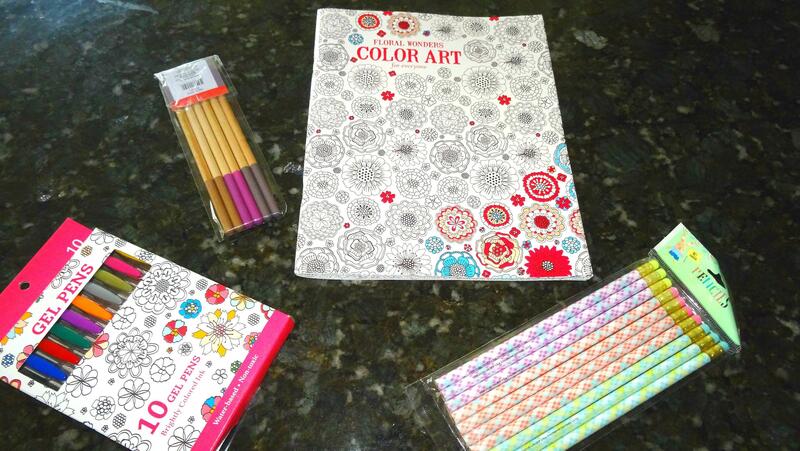 This book has intricate flower designs and floral patterns inside for you to color. I haven't started coloring mine yet though I have had it for a couple of weeks but plan to start tomorrow. 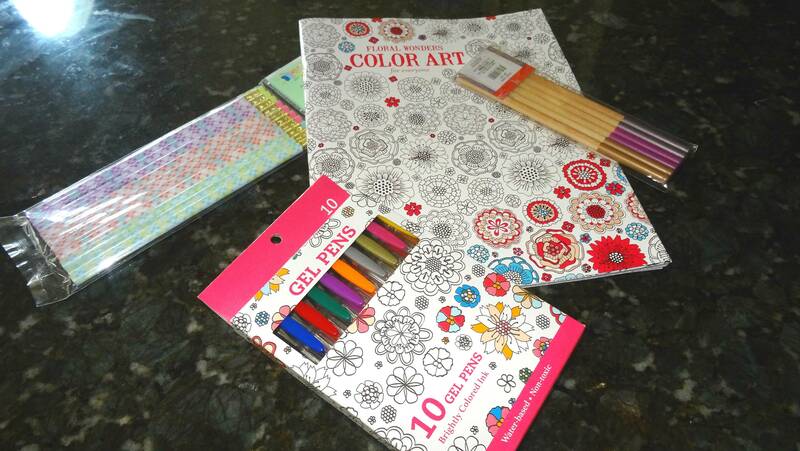 Of course I had to get some cute and colorful gel pens for my new coloring book. The coloring gel pens' books had almost identical design with the coloring notebook. The gel pens were $3. And then I got two adorable boxes of pencils for $1 each. I have a ton of pencils and have bought colorful pencils from Target before. But I couldn't resist the neutral colors ones dipped in paint (two are purple, two are like a golden mocha color and two are gray) and even more so I couldn't resist the adorable Eastery ones which are in the cutest pastel argyle patterns. All of these pencils are cute, pretty to look at, good quality and I know they will make good-looking accessories by a night-stand, my desk, our kitchen office area, at my job or whenever. And if a few of them get lost or used up quickly, no big deal since they cost between 10-15 cents each. So that's what I got for ten bucks at my local Target, this time around. I plan on joining in next month too. 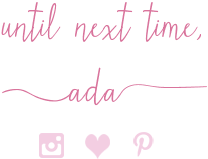 Funny enough, other bloggers have started on the coloring for adults bandwagon because both Shea and Becky picked up some of the same items I did. What a cute coincidence! So, did you buy anything for a bargain at Target, lately? What are you up to this weekend ladies? Any coloring plans in your near future?